Hello 안녕 Everyone!! 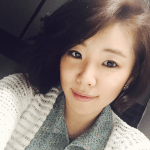 I am Native Korean speaker who can teach you conversational Korean and upper level Korean. 안녕하세요 저는 한국에서 교육을 받은 한국어 선생님입니다. 저는 한국어 회화 뿐만아니라 고급 한국어도 가르칠수 있습니다. I am very friendly!! I have been teaching Korean for 3 years at University of Tennessee. If you are interested please feel free to contact me! I completed certificate course in teaching korean as a second language for foreigners. I worked at korean language academy and I met many students from Japan, America, U.K, Canada, Portugal and taught them Korean. I also taught korean as a volunteer worker at the church, though I don't belong to any religion. 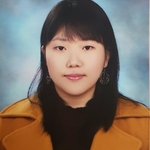 I just liked to teach korean and help foreign workers who want to learn korean. After I quitted these works, I've been taught some students as a tutor. I taught and helped them to get TOPIK certificate. Though that practical experiences, I could learn more like making a effective teaching plan, methods of teaching, communication skill with students. I always tried to give interesting class with enthusiasm. Happily, students liked my class and also said that I am a good teacher. I feel worth when students say like that. But I feel worth most, when I see the improvement of students' Korean. I think that is the why I want to teach Korean.